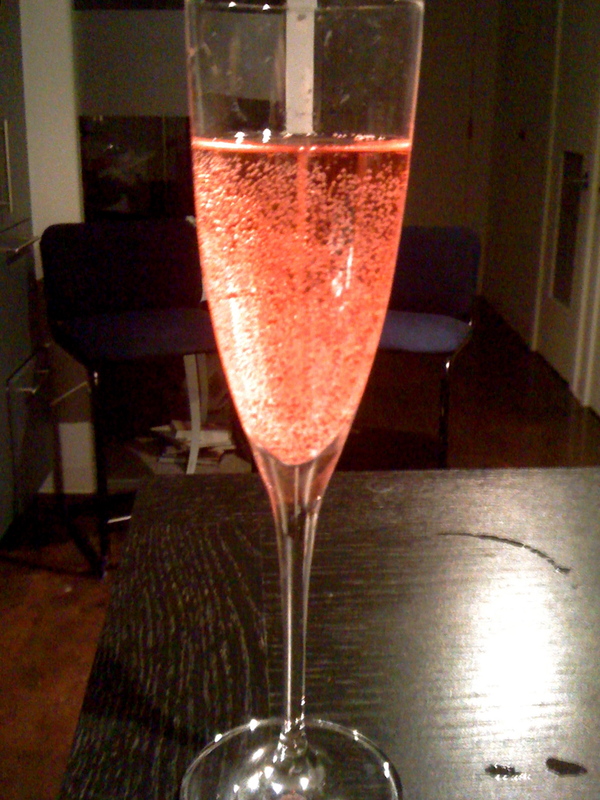 It’s starting to get cold and gloomy outside, but that means one thing….the holidays are here!! Yesterday DC had its first snowfall flurry of the season, and it couldn’t have come at a better time since my friend Marisa was having a holiday party! 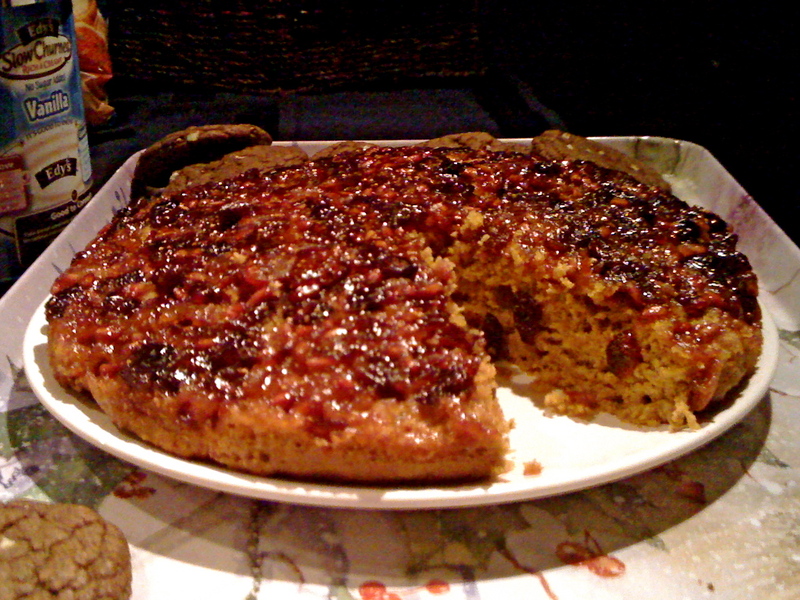 I knew I wanted to make something festive for the occasion and immediately thought of an amazing Pumpkin, Fig, & Pumpkin Upside-Down cake I had seen on the Front Burner Blog. When searching for the perfect pomegranate pick one that is heavy and dimpled for a sweet and juicy fruit. Try to choose one without too many cuts and bruises. We don’t want any bully poms. 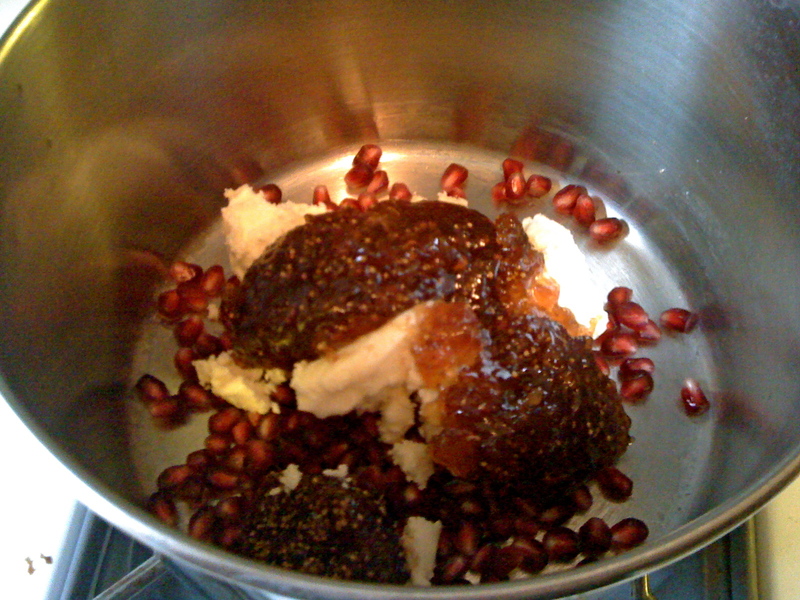 To start Emily’s recipe I removed the seeds of the pomegranate. 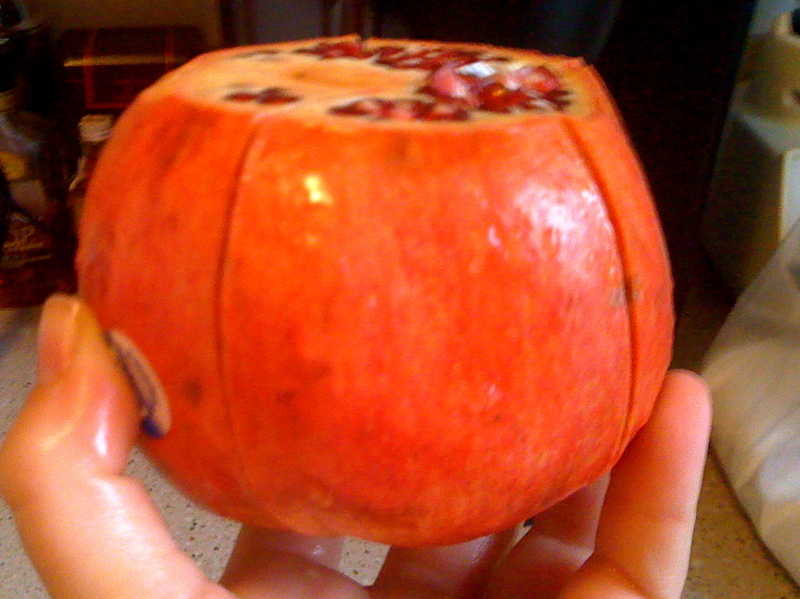 To do this cut the crown off of the pomegranate. 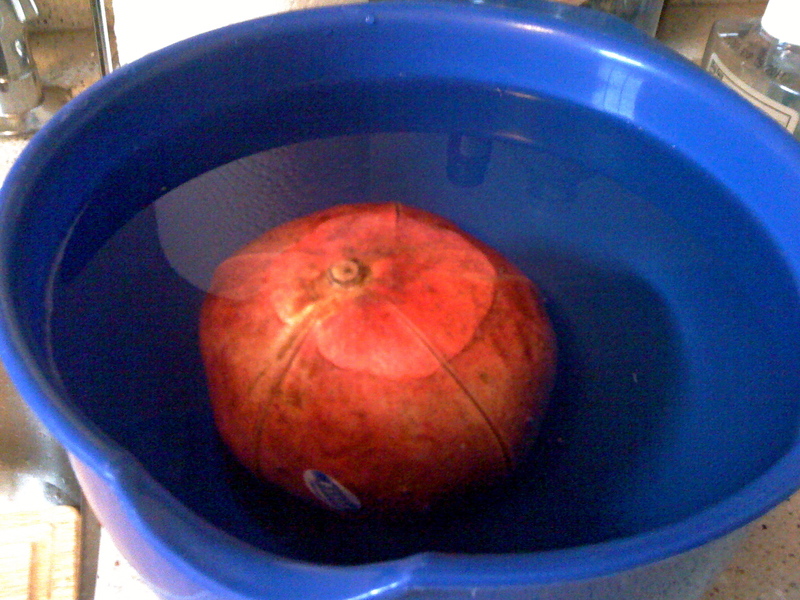 Then cut the pomegranate into sections and place in a bowl of water (room temperature) to soak for a few minutes. Roll out the arils with your fingers. 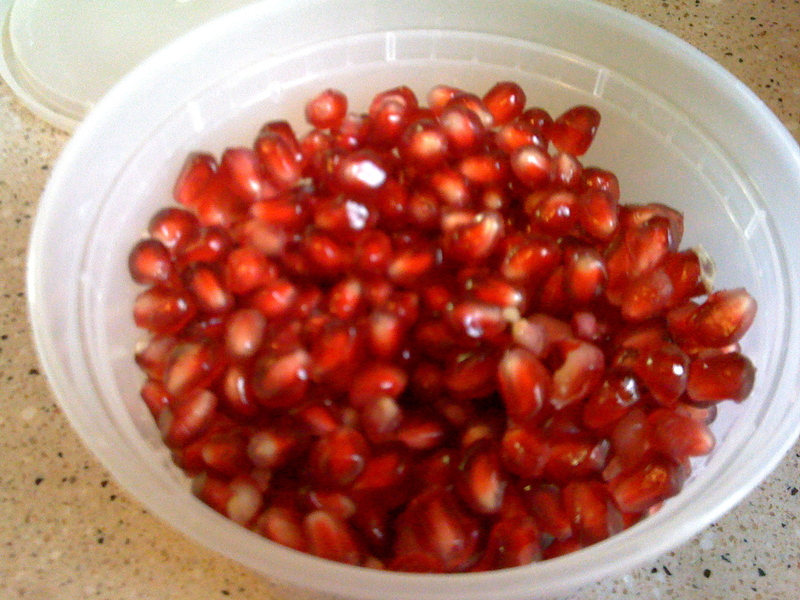 Discard the rest of the pomegranate, strain the water, and you’ll be left with these beauts! 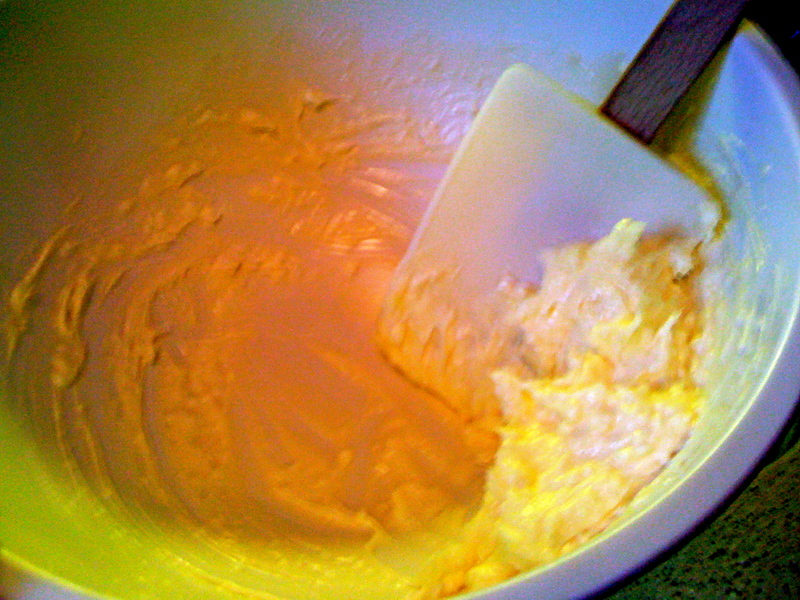 Followed by the butter mixture. 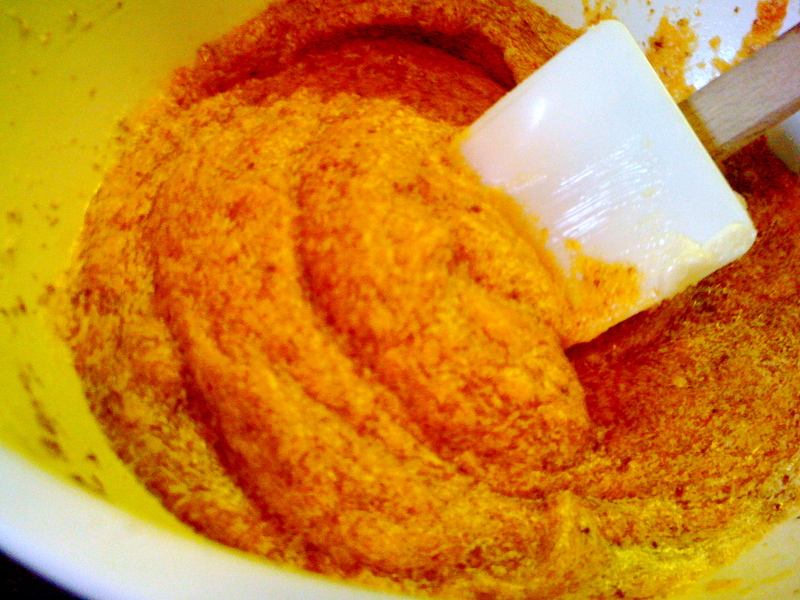 I don’t have a Kitchen Aid, so I did everything by hand. Definitely doable! Roomie helped me flip it, and underneath was a colorful surprise! This cake has holidays written all over it. 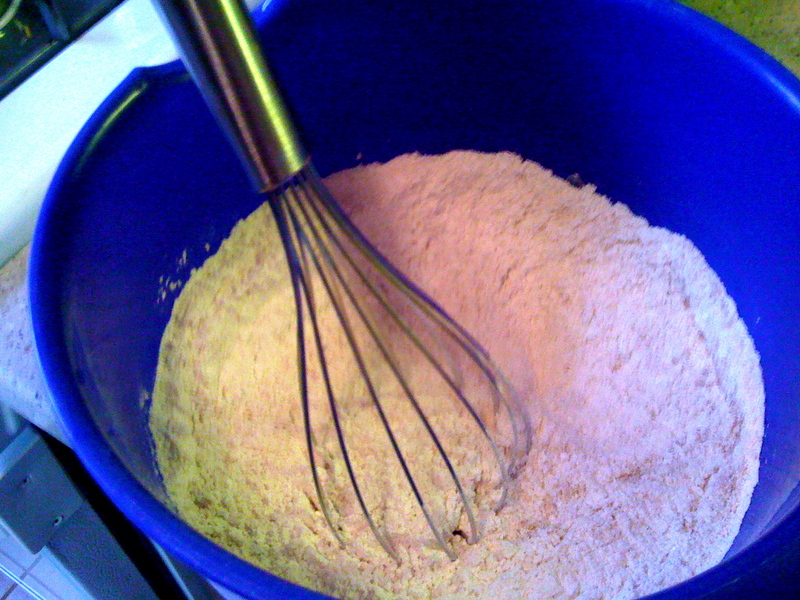 I was happy with the success of my cake, but the real test would be the taste! I ventured to Marisa’s where some of my favorite people were gathered. 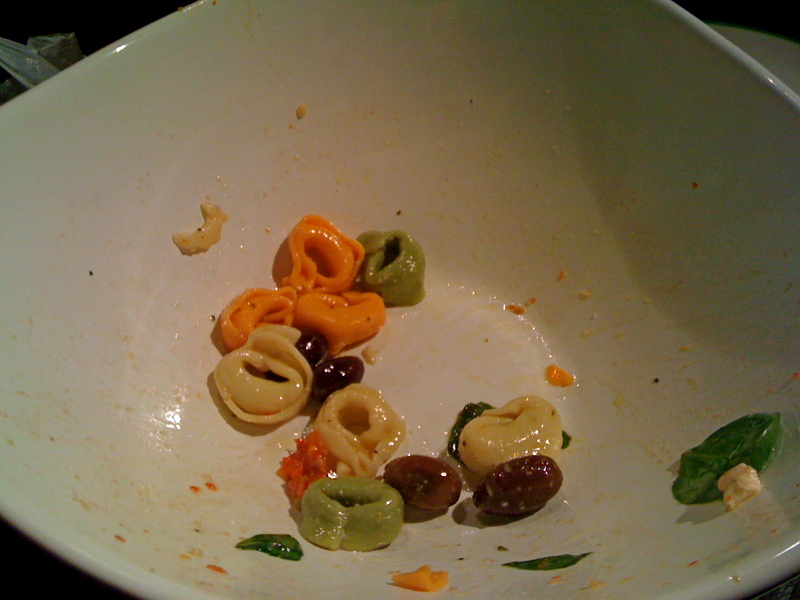 There was a delish champagne cocktail Paired with tasty apps, Chili, and some of Danielle’s Tortellini Pasta Salad. I think we liked it…. 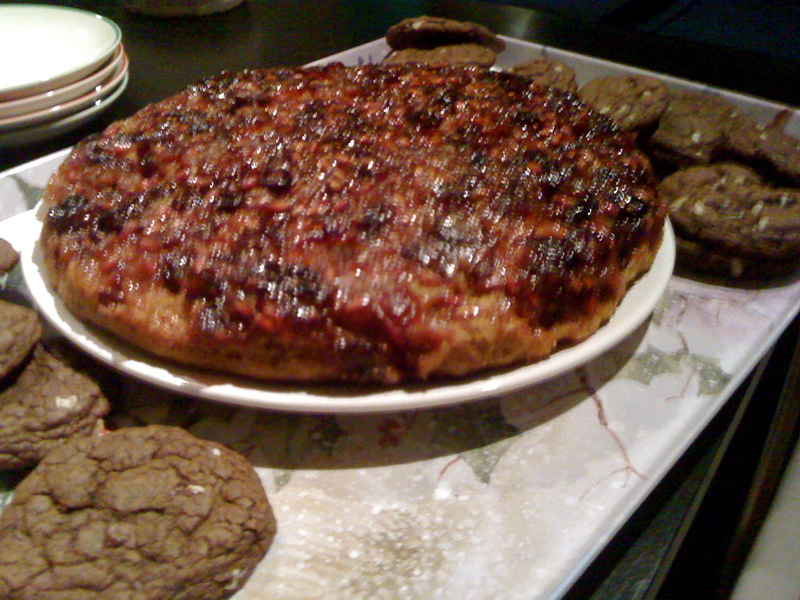 Dessert included some of Julie’s award-winning mint cookies, and my cake! 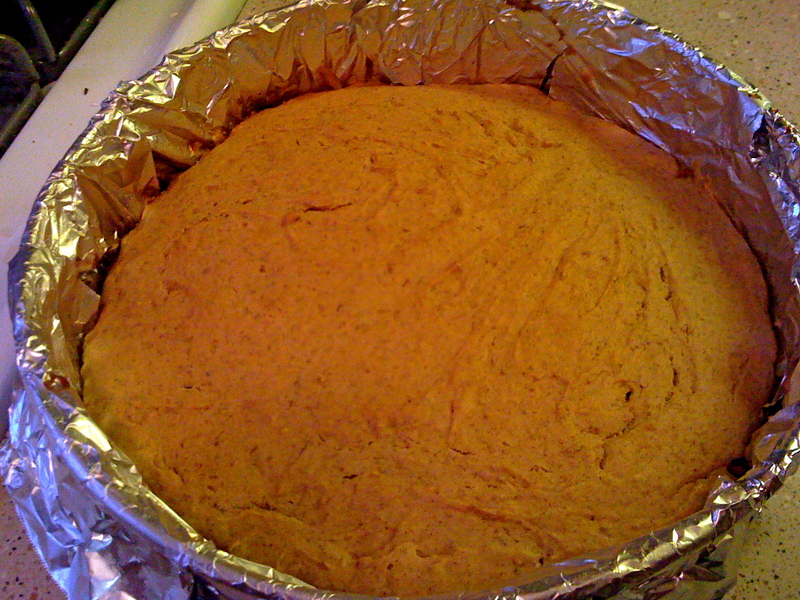 Emily served hers with a homemade vegan spiced ice cream (yum). 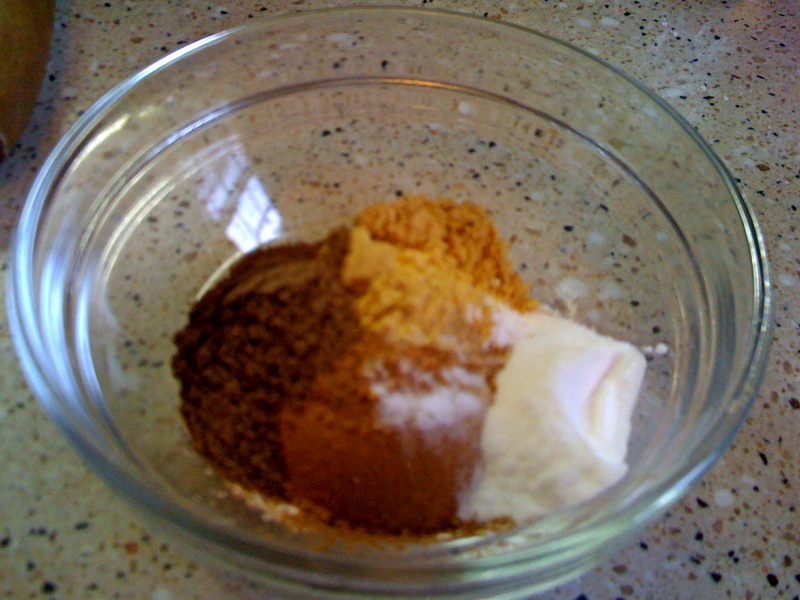 I wanted to attempt the ice cream but was lacking proper equipment, so I chose to serve it with low-fat vanilla ice cream instead. I nervously cut the cake and served it. Seconds later I was at ease because the cake was sooo good! 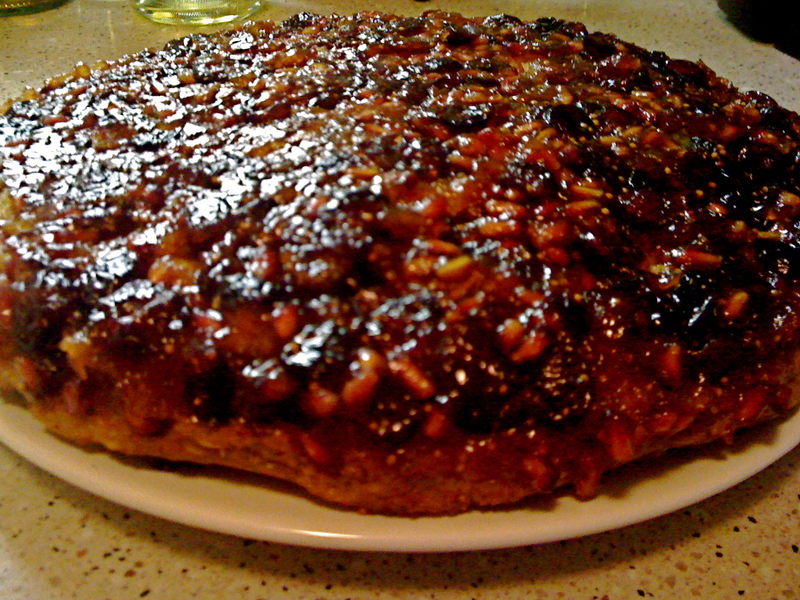 It was moist, delicious and paired perfectly with the vanilla ice cream. 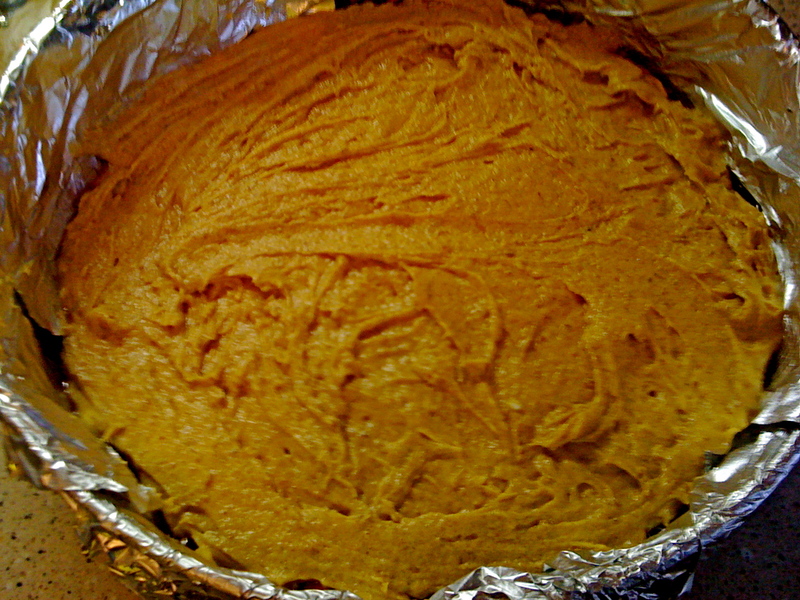 I highly recommend it and will definitely be making this for my next holiday gathering. 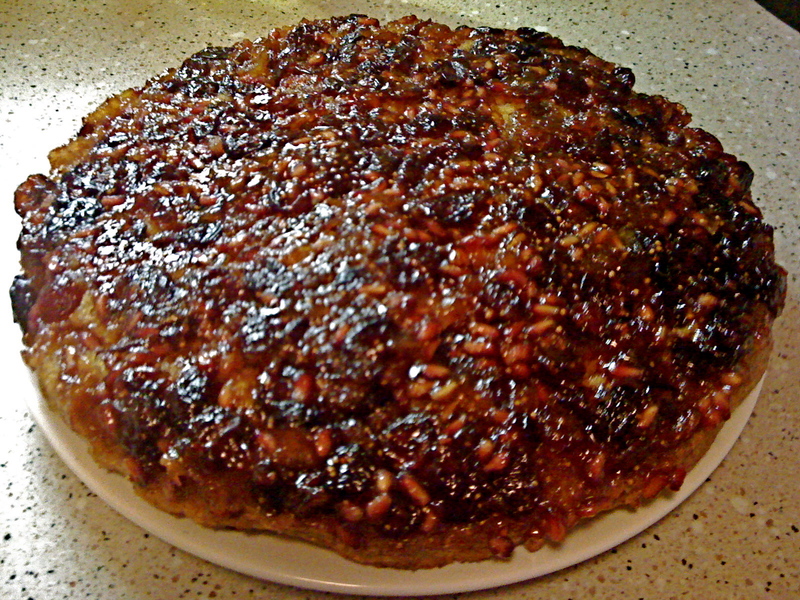 Pomegranate is a fruit that makes any dish shine. 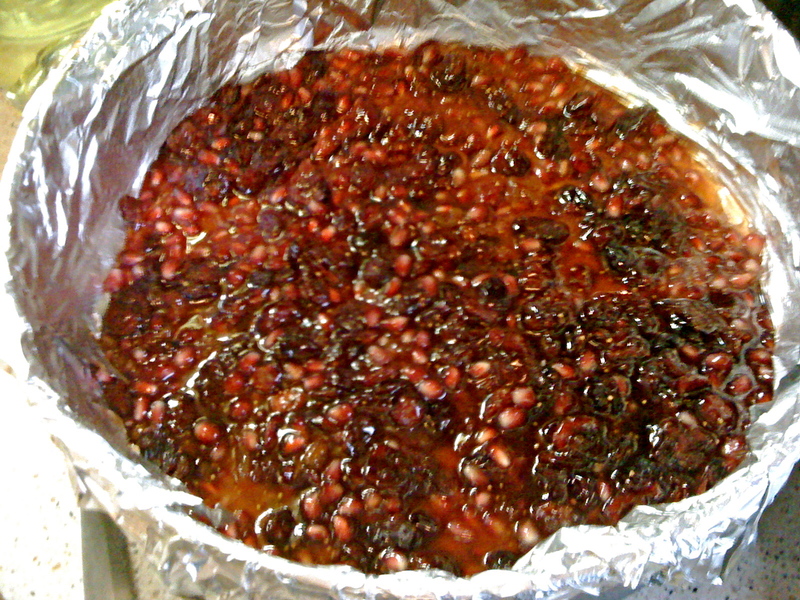 Once you have the pomegranate seeds they can be stored in the fridge for up to 5 days, or frozen for up to 6 months. 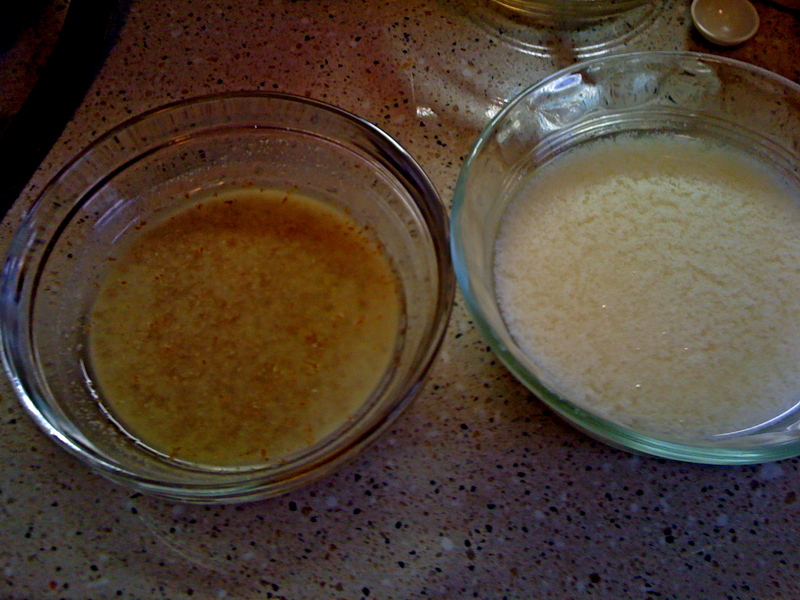 Sprinkle the seeds on salads, in yogurt, or add it to your cereal or granola. 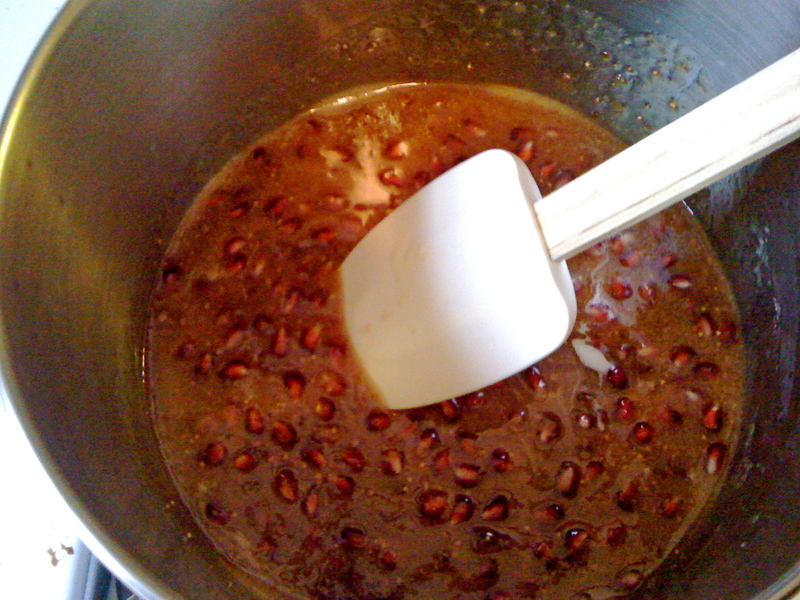 Make pomegranate juice, use in marinades or glazes or just use as a decorative garnish. Have it Your Weigh. Oh and good luck!! Can’t wait to hear how it goes! AHHH it looks soooooo yummmyyy!! !